Imagine sweeping, green plains that go on for miles. Picture a skiier gliding down a mountain before plummeting over jagged cliffs. Think of walking through a house you’ve never been to. You’ve probably seen video footage or still images of these types of scenarios. What do they all have in common? They were almost definitely shot with a drone. Flashback five years: If you wanted any meaningful birds-eye-view footage of landscapes, people or cities, you’d have to get a helicopter up in the air and hang out the open side with a massive, high quality camera on a special attachment to smooth out the bumpiness of the ride. While it sounds exciting, it’s not exactly easy. And certainly not cheap. 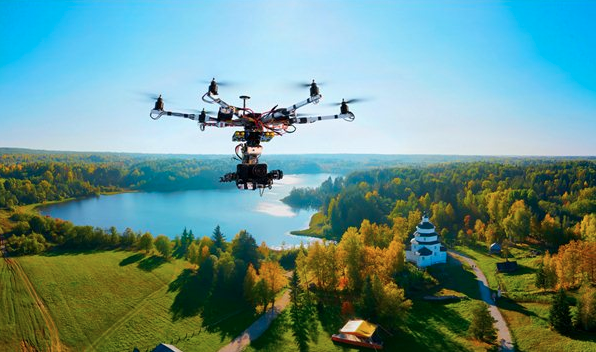 Today, consumers can get a bird’s eye view unlike any other, thanks to the remote control technology that is allowing videographers to launch video camera drones in particular areas. Sweeping, panning video of cityscapes and coastlines now accompanies nearly any promotional video, particularly in the real estate, tourism and sport industries. Amazon arguably started the drone tidal wave. Testing out drone technology as a delivery service back in 2013, the e-commerce giant unwittingly opened up the door to infinite possibilities for drones. Though first done by only the most elite, the accessibility of drone technology today means nearly every videographer has a drone in his or her fleet. 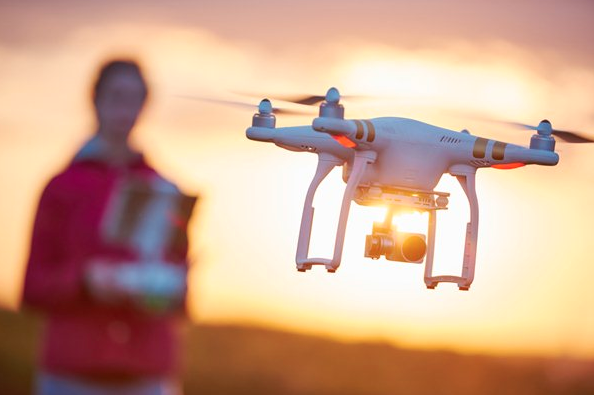 Chris Wells, Adcorp’s Account Director in Brisbane who has been involved in film and television for more than 30 years, says that drones offer a different way of getting in the air for an incredibly low price tag. Before the advent of digital cameras, the cost of getting up into the air was “horrendous,” he says. Now, not only does everyone have access to high quality imagery, they can get it from nearly any perspective. Think regional fly-overs, property walk-throughs, even 360-degree video allowing viewers to take in an entire scene as though they’re actually there. Despite these incredible film and photography shots being nearly ubiquitous, Chris says it’s about more than the raw footage. “What you do with it is still an art,” he says. 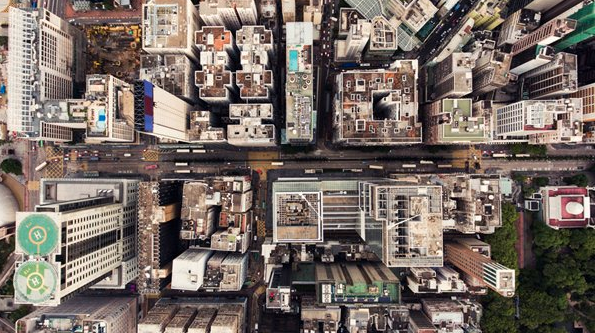 The types of digital work you can do with drones is seemingly endless. For our project with King’s Row Offices, these aerial shots showed off the superb location of the office buildings, and allowed viewers to experience the area without leaving their chairs. For Oakwood Brisbane, drone video footage contributed stunning scenery around Brisbane to the hotel’s promotional video, giving viewers even more inspiration to visit the city. Even the still photographs taken by drones allow a completely new digital experience. For Rochedale Estates, Chris’s 360-degree drone photography was stitched together to allow prospective buyers to explore a new property development and literally get a lay of the land. Emma Wilkinson, one of Adcorp’s Digital Producers, says drone video draws out real emotions for consumers. “Using drones, you can allow a person to discover and experience a location – be it a new country or even a new house or city – from angles that they normally wouldn’t see when looking at a standard advert, and make them really feel that it is possible for them to be in that situation,” she says. Emma noted sport in particular: In giving people the first person perspective of a particular sport, advertisers can actually empower people and give them the confidence to try it themselves. For those who are physically unable, this type of video allows them to emotionally engage in the experience. Operating a drone – when, where and how? From a videographer or photographer’s point of view, drones enable more control and access than ever. From his drone’s iPad app, Chris can set and change the course of his drone, change the shutter speed, the dpi, the height at which it’s flying, and so much more. While most of his work involves automating a drone to fly on its own, Chris says drones also work as handheld cameras – following a cyclist up close, for instance, or walking through a home – producing smooth, uninterrupted shots. All of this can take just a few hours, he says. Read: Your business can afford it. Is there still a place for helicopters and full-size cameras? Sure, Chris says, but even professional shoots, like for blockbuster films, are opting for fleets of drones. For instance, the recent Pirates of the Caribbean film shot in the Gold Coast used six drones for their shots, sending them flying over the beaches, hovering around boats and more. This kind of operation would take several operators, Chris says. Although there are limitations for drone video – for example, each country and every Australian state has its own guidelines on when, where and how you can fly a drone – we recommend it for nearly any property promotion, particularly when we’re promoting a development as it’s being built. “Drones offer a truly engaging way for a person to experience the land and surrounding whilst building is commencing,” Emma says. Are drones right for your business? Now that drones have well and truly taken off, they’re being used by everyone from professional film crews to consumers wanting a new type of selfie. So are they right for your next marketing project? We’re encouraging clients of all forms to give drone video a go. “They are super fun to use and really stand out in the crowd,” Emma says. The beauty of drone video may just be its ability to give people a whole new experience – and whole new world to engage with – that was just out of reach before.